In the hot stamping process of ultra-high-strength steel sheets, it is a significant issue to reveal the nonuniformity of cooling rate in space–time domain by finite element method and even uncover the inner cause, which contributes to the further adjustment of the phase transformation. In this work, a series of heat transfer experiments between dies and sheets were conducted on the self-developed experimental apparatus. The temperature evolution curves of die and BR1500HS ultra-high-strength steel sheets under different pressures and holding time were obtained. Moreover, the transient heat transfer coefficients (HTC) under different mean interface temperatures and pressures were calculated by the inverse heat transfer algorithm. Subsequently, based on the HTC curves, a thermal–mechanical-phase dynamic coupling finite element model was developed for modeling the hot stamping process, and a series of simulations for analyzing the non-uniform microstructures distribution in hot stamping parts were implemented. Finally, the simulation results were validated by actual hot stamping experiments. 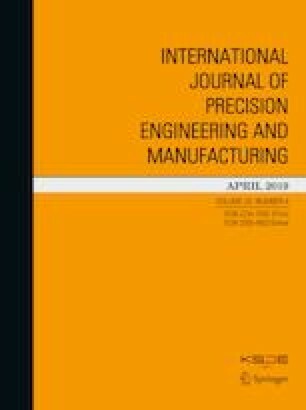 Two significant influence factors on the nonuniform distribution of microstructures were summarized as follows: the existence of incomplete contact between steel sheets and dies due to the sheet thickness reduction in sidewall and circular bead regions, and the temperature differences between dies and steel sheets. The work was supported by Chongqing Foundation and Frontier Research Project (cstc2016jcyjA0335), and Open Fund Project of the Ministry of Education Key Laboratory of Modern Measurement and Control Technology. Authors are also appreciated for Overseas Science and Technology Foundation for Selected Overseas Chinese Scholar, Ministry of Human Resources and Social Security of the People’s Republic of China.